The most spectacular red rock scenery awaits you, in addition to world-class resorts and close proximity to one of nature’s greatest wonders - the Grand Canyon. 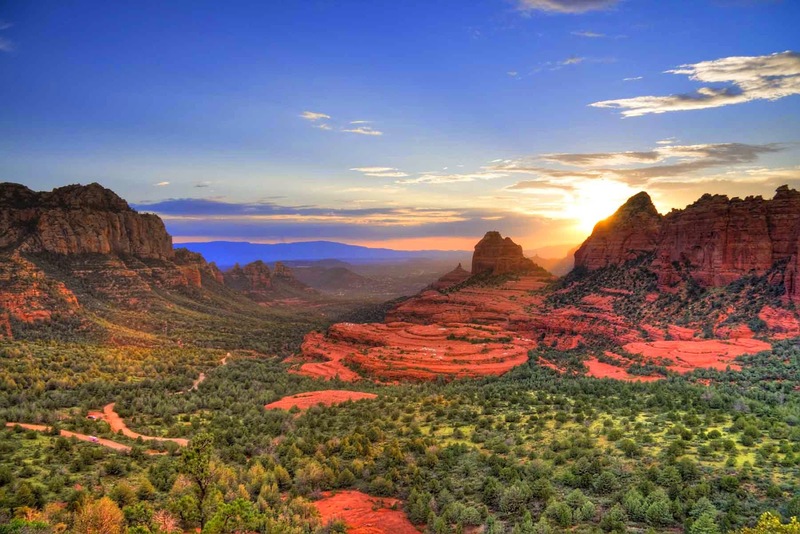 Known for its stunning red buttes, Sedona is located in northern Arizona only 130 miles from Phoenix, 40 miles from Flagstaff, and approximately 125 miles from the Grand Canyon. 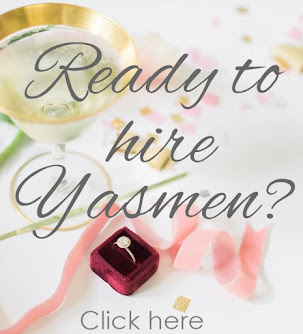 Of course, you never have to leave Sedona to have a fabulous honeymoon, but making a day trip to the Grand Canyon would make for a great outing. 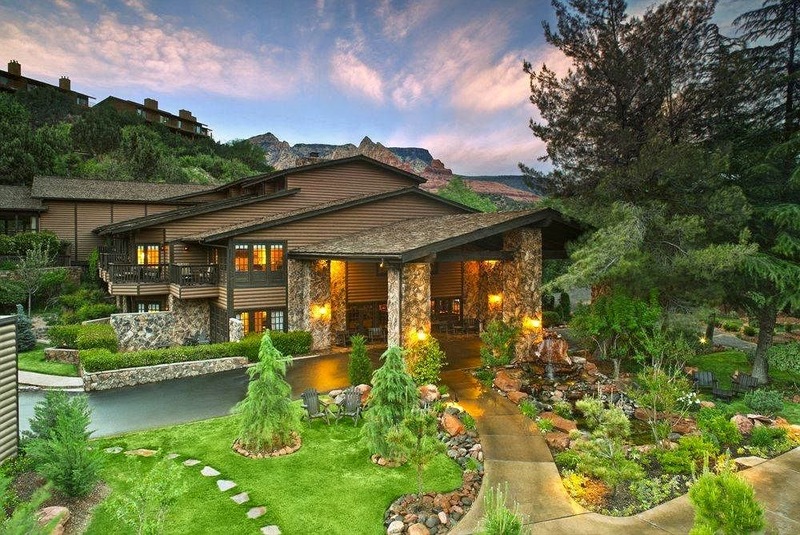 Home to many incredible resorts, including L'Auberge de Sedona, which has been named one of the "50 Romantic Retreats in the World" by Travel + Leisure magazine. 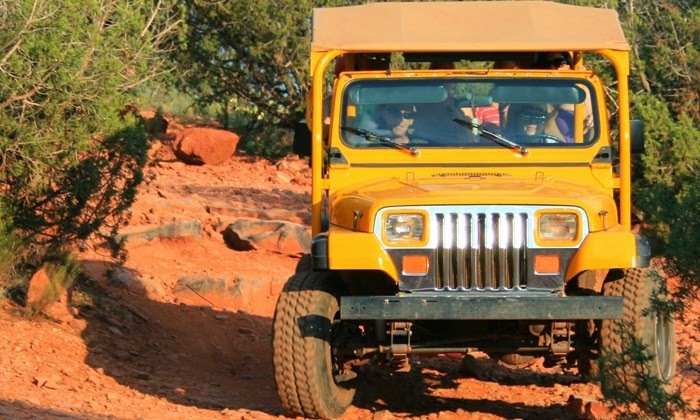 There are numerous outdoor activities to choose from in, including the many jeep tours to view the red rocks, as well as hot air ballooning and visiting Slide Rock State Park. Slide Rock is just plain fun. No matter what wonderful amenities your first-class resort may have, this natural waterslide in Oak Creek is a must-visit in the hotter summer months. 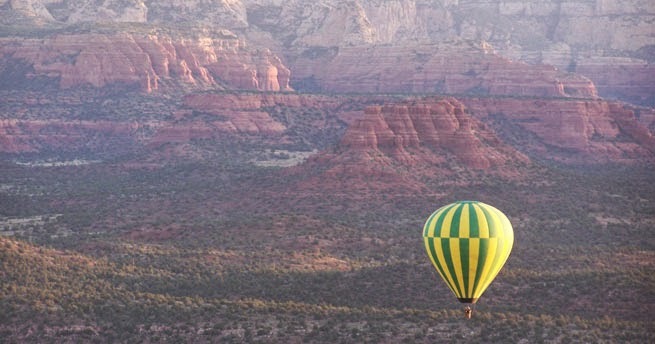 What time is the best time to visit Sedona? If you’re squeamish about the heat, you might want to avoid July through August, as temperatures can get up to the high 90s and low 100s. This is also the monsoon season, so you can expect some thundershowers. But, for those of us who enjoy a good summer rain, this can be an exhilarating time of year. Fall and Spring will find lovely weather, while the winter months can dip into the 30s. 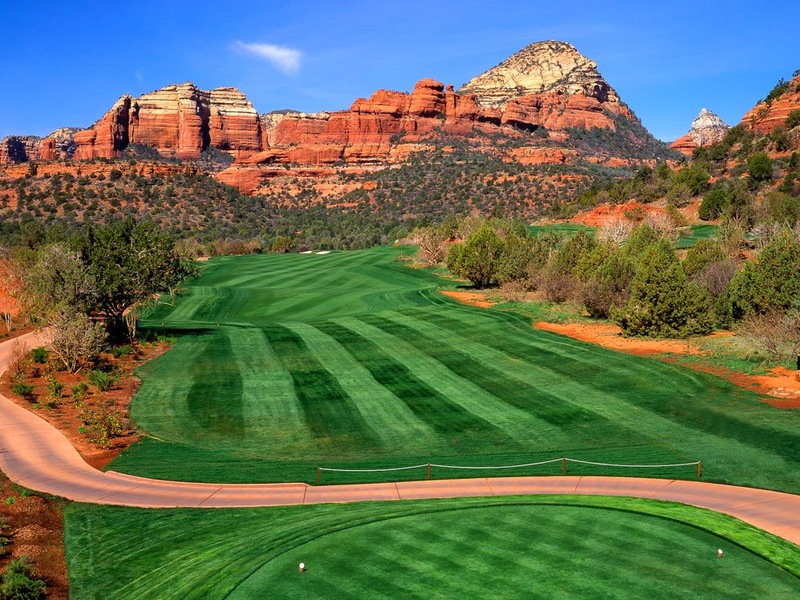 Whether it’s for the red rocks, the resorts or the outdoor adventures, Sedona will certainly not disappoint.